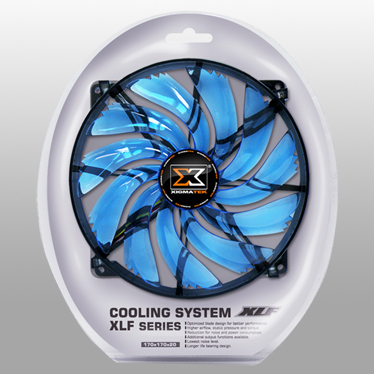 XLF-F1706, 170mm LED cooling fan catches not only your eyes, but it also performs adding more airflow in your PC case. It comes with max 800 RPM and 65.3 CFM and also with quiet level (<18 dBA). Shining LED light and transparent colorific frame/blade make your PC case a spotlight. To make your PC case a spotlight and outstanding performance, XLF-F1703 is the optimal choice.